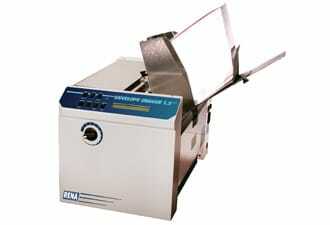 All For Mailer has the following refurbished mailing equipment for sale! Dependable and very durable entry level address printer at a fraction of the new cost. Speeds of up to 24,000 per hour and the best durability in its price range. 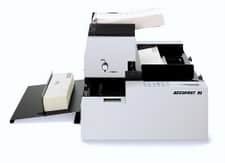 Our preferred 1.5″ entry level printer- requires almost no service and interfaces easily. The unit has low piece count and is in excellent condition. 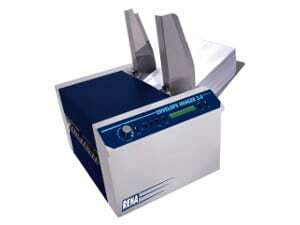 This printer and conveyor combo are one of the most desirable on the market. The unit has only 126,000 total pieces and is in great condition. 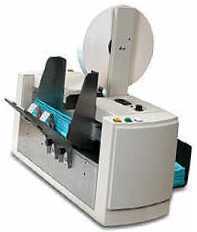 Capable of printing at up to 33,000 per hour and handling materials up to 1/4″ thick. 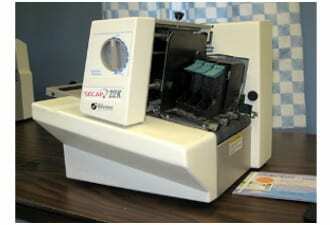 The Neopost SA-60 is the most durable 1.5″ fixed head printer on the market. Save over $3,000,00 off the retail price. 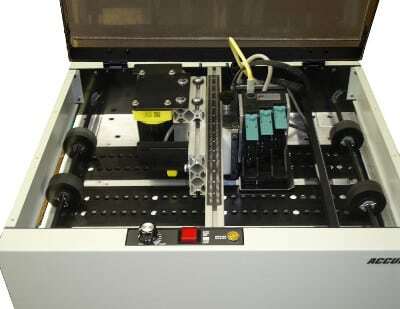 Vacuum base and unparalleled durability – floor model production for a third of the cost. Will handle clear tabs and includes its feeder. A very nice entry level tabber. The best and most affordable pressure sensitive stamp/label applier on the market. Quiet, operator friendly unit in excellent condition, retails for over $15,000.00!